Will the arrest of Jim Gatto, the director of global sports marketing at Adidas, in the college basketball bribery scheme soon lead to charges against other sports industry execs and an overhaul of sports sponsorships? That’s what some observers were speculating after federal prosecutors on Tuesday arrested 10 individuals, including four NCAA basketball coaches and two Adidas employees, as part of a two-year bribery investigation involving recruitment efforts. The scandal is leading to calls again for colleges to end amateur status and start paying players. According to court documents, the probe revealed numerous instances of bribes paid to assistants and associate basketball coaches to exert influence over student-athletes. The feeling by many is that such bribes have long been part of the sports sponsorship game. “College basketball has a long, baroque history of malfeasance involving under-the-table deals, but rarely, if ever, have federal investigators exposed such widespread corruption,” wrote Marc Tracy for the New York Times. Gatto was charged with paying elite high school basketball players and their families up to six-figure sums to go to Adidas-affiliated colleges with promises to later sign with Adidas if they turned pro. The indictment did not specifically mention Adidas. Gatto was assisted in the scheme by Merl Code, who recently left Nike for Adidas. Code, according to the indictment, is involved in college and high school basketball programs with Adidas. He allegedly “participated in organizing of the payments” made by Adidas to players and their families. The payments were brokered by three men: Munish Sood, chief executive of financial advisory company Princeton Capital; Christian Dawkins, a business manager; and Jonathan Brad Augustine, who runs an Adidas-sponsored AAU basketball team. The payments were made with the promise that the players sign agreements with Dawkins and Sood once they turned professional. Among the charges was that Gatto, Dawkins and Sood funneled a payment of $100,000 to the family of a high school basketball player in exchange for the player committing to an unnamed university. In return, the player agreed to retain the services of Dawkins and Sood, while agreeing to sign with Adidas once the player turned pro, according to the complaint. A separate charge described a similar scheme involving a $150,000 payment to another player. Kim said the investigation was continuing, seeming to promise further revelations of wrongdoing in the months ahead. On Tuesday, federal agents executed search warrants at the offices of ASM Sports, which represents 30 current NBA players but which was not charged in the three criminal complaints filed in Manhattan. 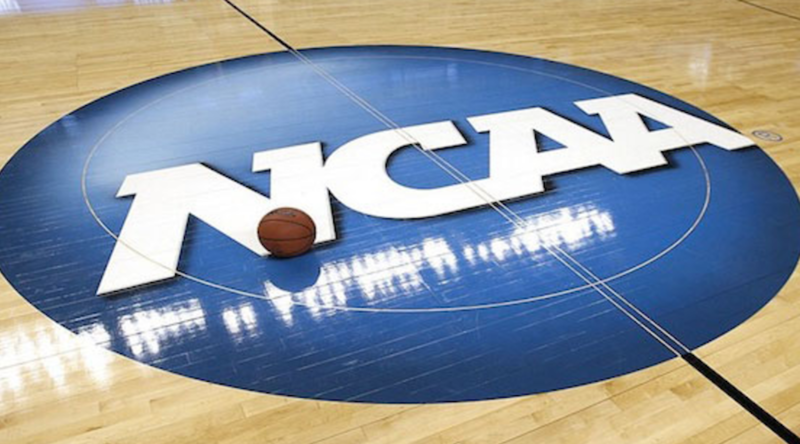 The four NCAA assistant basketball coaches were charged Tuesday in connection with the scheme were: Lamont Evans of Oklahoma State University; Chuck Person, Auburn University; Tony Bland, University of Southern California; and Emanuel Richardson, University of Arizona. Auburn is aligned with Under Armour, and Arizona, Oklahoma State and USC are all with Nike. The court documents don’t name the colleges, but the University of Louisville, an Adidas school, confirmed it was part of the investigation and pledged to “cooperate fully.” On Wednesday, Louisville’s legendary coach, Rick Pitino, as well as its athletic director Tom Jurich were placed on administrative leave by the university. Court documents also strongly suggest that the University of Miami, another Adidas school, was involved. American Council on Education President Ted Mitchell said in a statement that the allegations, if proven, would be among the most egregious to affect colleges and universities in recent memory. “If true, I am confident the institutions and the NCAA will promptly take the strongest possible action,” Mitchell said. Speaking to CNBC, sports marketing legend Sonny Vaccaro described himself as “totally shocked” by the revelations. In a statement Wednesday, Michael Hershman, anti-corruption expert and group CEO of the International Centre for Sport Security (ICSS), that that charges, if substantiated, represent a “significant violation of the trust” in coaches and officials. Hershman called for stronger mandatory ethics and anti-corruption measures.